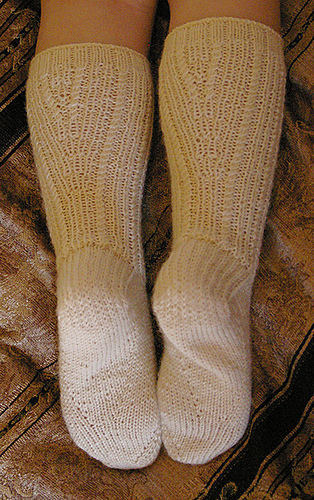 Simple and quick twisted stitch and rib make them fun to knit, and stay up on those precious, chubby, toddler legs. 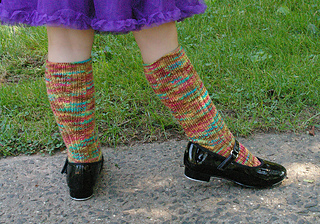 The fluid toe-up design has arch gussets and calf gussets which work well to blend the lovely hand-dyed sock yarns. 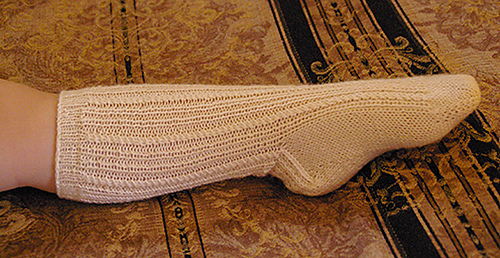 This in an intermediate pattern employing several increase techniques, Judy’s Magic Cast On, short rows, and twisted stitches. 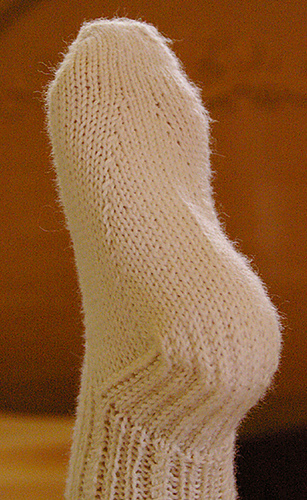 Instructions are mostly in written form, with a set of charts for the calf gusset section. Fit tips for knee-high socks – The twisted rib pattern pulls in for a snug fit, so the stitch count for your size may be larger than you are accustomed to. 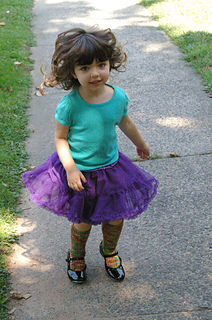 The length of a little ones legs generally changes much faster than the foot size. To extend the fit a little, add about an inch to the top ribbing and let them wear it folded down at first, and then pulled up as they get taller.